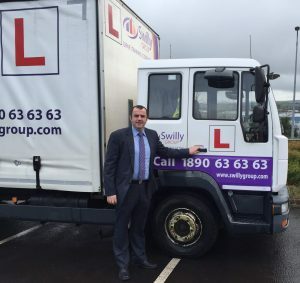 The Swilly Group has announced that they are accepting applications for Warehousing and Logistics Tutor positions to work throughout Ireland. The company is also looking to recruit trainers to deliver Transport, Driver CPC, Health and Safety and other transport related training courses. Established in 1975, the Swilly Group has grown to become one of the leading providers of training, recruitment and employment support services in Ireland. The company serves industries such as Transport, Driving, Hospitality, Tourism, Care Services and Outdoor Activities. Managing Director Brian Sweeney, “It is a very exciting time at the company.” “We have expanded our service portfolio and geographical footprint over the last 10 years to become the leading provider of transport training services across Ireland.” “We are now looking for a number of ambitious candidates who are interested in developing a career in the training industry.” Brian continued, “We are offering attractive employment packages and will provide the necessary training to the successful candidates”. Candidates with experience or qualifications in Transport Management, Warehouse and Logistics or Health and Safety are invited to apply for the trainer vacancies. All candidates must be eager to learn, confident, good with people and flexible. To find out more about the current vacancies, contact Swilly Group on (074) 9151212/1890 63 63 63 or email recruitment@swillygroup.com. Hi I’m a driving instructor for b license in meath Cavan area. I passed my adi test just over a year ago. I haven’t yet set up a my business. As I still work full time in a garage looking to get out of the garage trade and get into employment as a driving instructor Eventually getting into teaching for hgv and maybe motorcycle’s if the swilly group are employing driving instructor’s for meath or Cavan you could maybe keep me in mind. We are currently recruiting in Cavan/Monaghan and Dublin. We offer HGV Driving Instructor training for the successful candidates. To be considered for a position as a HGV driving instructor, please submit an updated CV and Cover Letter. We are looking to recruit Drivers to train as driving instructors for work in Cavan, Monaghan and Dublin. Please submit a CV and cover letter to be considered for interview.